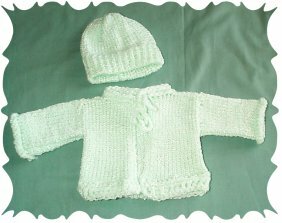 "Free preemie crochet clothes pattern"
Pictured here are my favorite top ten preemie items for knitting and crochet. I really enjoy making these tiny projects. Some were knit on the knitting machine, some were completed on a knitting loom and a couple were crocheted. I am sure you know of the many charities that are represented online. 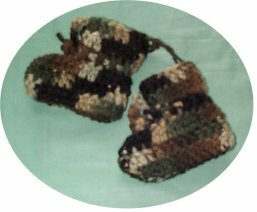 All Crafts for Charities Yahoo group, covers just about any craft and they help many different charity groups. 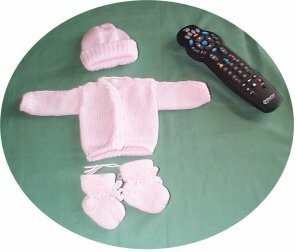 I have included a couple of free preemie patterns to get you started. These patterns are easy and would be a great project for a beginner or just relaxing for the experienced. These patterns are also great for doll clothes. If you have a little girl in your life, make some up for her doll and some up for charity . Yes they are that easy. You can’t just walk into any department store and find clothes for these tiny ones. 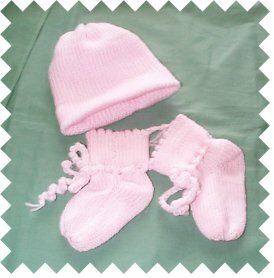 The low-income parents can’t just run out and buy a special wardrobe for these babies. Very seldom do the parents expect a premature baby. Either case these babies need clothes just the same as full term babies. This could be turned into a profitable business if you wanted. If you could come up with a nice line of clothing you could create an online business. Your choice could be to sell either the finished product or the patterns. Of course these patterns must be your own creations. Don’t forget the preemies that are in the hospitals over the holidays. The nurses will dress them up and place a small toy in their bassinets. This is a little touch of the season for both the babies and the parents. Tiny toys and tiny Christmas stockings are used quit often. Sometimes things don’t go well and these items are all the parents have to take home. All of these items are donated so please consider making up a few things and donate them to a neonatal unit of your choice. This is my top ten preemie choices. Fold in half and sew up. Make a chain and tie.